New Delhi: Finance minister Pranab Mukherjee admitted on Thursday that food inflation had risen to dangerous levels as prices surged more than 12% year on year. “Food inflation is still going high. It is dangerously above double-digit figure(s)," Mukherjee told reporters in New Delhi. He blamed the latest rise on peak demand during the festival season, but said it was “a matter of grave concern" that food inflation had been in double-digits for three consecutive weeks. The rate of 12.21% in the week ended 22 October was up from the previous week, when it stood at 11.43%, according to data from the government. 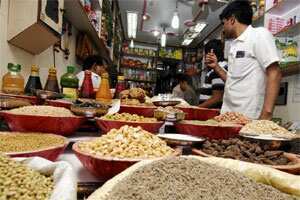 The increase was due to rises in the price of vegetables, fruit, pulses and milk. Food inflation has been high in the country for much of the past two years, peaking at around 20% at the end of 2010. The RBI has raised rates 13 times since March last year to try to tackle inflation, raising the cost of borrowing and leading to complaints from business leaders about a slowdown in demand. Headline wholesale inflation, which measures the cost of goods across the economy, was clocked at 9.72% in September.